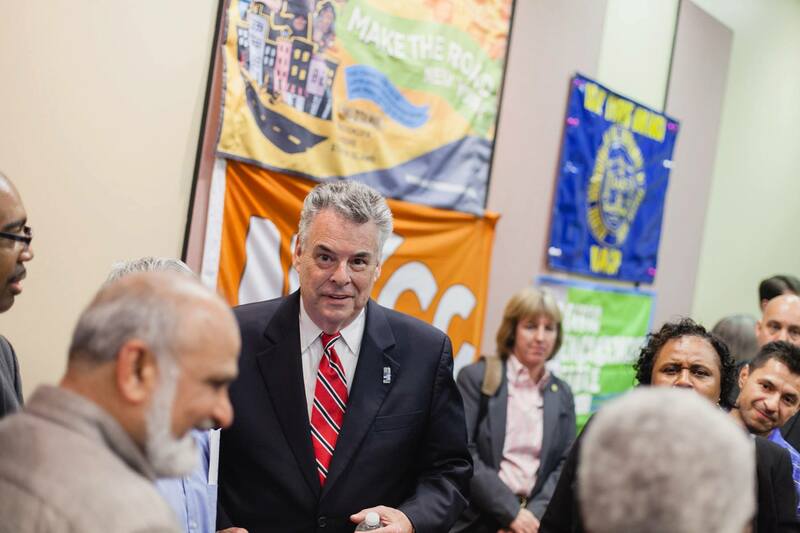 Last week, an unexpected news story made the rounds: Seaford's own Rep. Peter King, U.S. congressperson for a district that now stretches from Massapequa to Brentwood and Central Islip, is considering a run for President in 2016. If Rep. Peter King (R-Seaford) is truly considering a presidential run in 2016, as he indicated last week, his first national test may be the immigration bill currently before the House of Representatives. King has an admirable record of protecting the interests of New Yorkers and Long Island residents. His strong stance in helping us recover from superstorm Sandy, for example, had a huge impact by bringing millions of dollars of federal aid to the region. Now, the lives of 11 million immigrants living in the country without proper documentation hang in the balance. It's no secret that the Latino vote played a significant role in President Barack Obama's victory in 2012. Latinos supported Obama over Mitt Romney by about 72 percent to 27 percent, according to the Pew Hispanic Center. That was the biggest share of Hispanic voters for a Democrat since 1996, when President Bill Clinton won 72 percent of the Latino vote. And the importance of passing commonsense immigration reform is not just political spin coming from Democrats and reform supporters. As Republican strategist Karl Rove put it in a Wall Street Journal opinion piece last month, "Immigration reform is now a gateway issue: Many Hispanics won't be open to Republicans until it is resolved." Just as the nation's population is shifting, so is Long Island's. About 20 percent of residents in King's congressional district are Latino, for a total of about 144,000, according to census figures. That's up dramatically from the roughly 45,000 Latinos in the previous configuration of his district, drawn after the 2000 census. Long Island residents as a whole are also looking for immigration reform that includes a path to citizenship. A June poll by Harstad Strategic Research showed 80 percent of Long Island voters somewhat or strongly support the Senate's version of the immigration bill. Our union's support for this bill is not only a moral commitment, as we watch families torn apart every day by deportations, but a practical one as well. Contrary to misinformation that immigration restrictionists have spread, immigrants actually help the economy grow for everyone. On Long Island, immigrants are 22 percent of small-business owners and hold thousands of essential agricultural jobs that, without reform, could go unfilled. And nationally, a recent Congressional Budget Office report outlined the potential positive economic impact of the reform bill passed in the Senate, showing a reduction in the federal deficit by $197 billion over the next 10 years. Many of us recently have been heartened by King's willingness to listen to the voices of long-time and new residents in his district. This included his statement at a recent forum organized by the NAACP and the Long Island Civic Engagement Table that, under certain conditions, he would support comprehensive reform with a path to citizenship. We hope that he continues to hear our voices and uses his senior position in the House to pass an immigration bill that includes an achievable path to citizenship. King may find that continuing this openness will not only benefit the lives of immigrants and U.S. citizens, but may also open more doors nationally for him. Hector Figueroa is president of 32BJ Service Employees International Union, the largest property services union in the country with 145,000 members.